Chaji is a very exclusive private tea ceremony which serves Kaiseki (one of Japanese most traditional meals), Koi-cha (the thick tea), and Usu-cha (the thin tea) through over 4 hours. 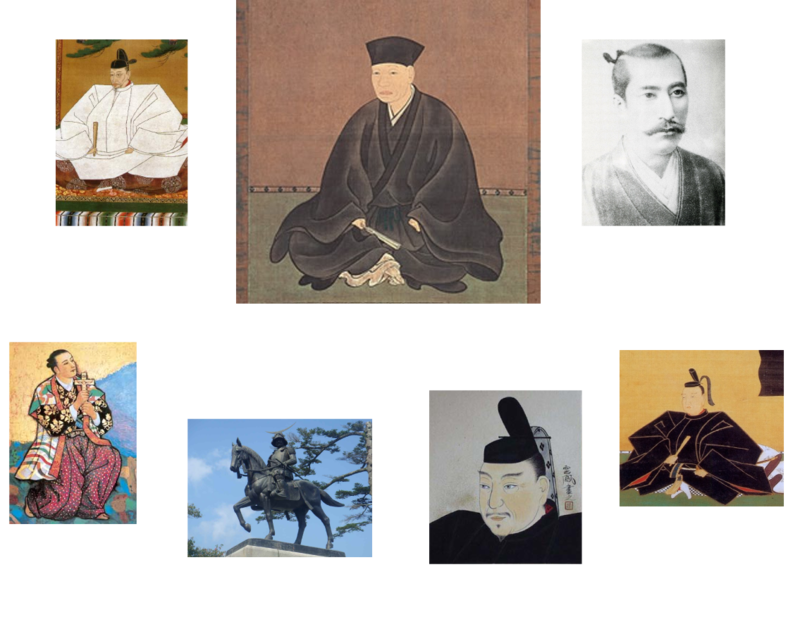 It was accomplished by Sen Rikyu (1521-1591, the grand master of the way of tea) to entertain Shogun (the king of ancient Japan) or Daimyo (lords of domains of ancient Japan). Tea ceremony was actually derived from Chaji, and it is known as representative of Japanese culture like Samurai, Geisha, or Ninja. It have strongly effected to Japanese people’s idea, customs, and courtesy. Chaji is the highest status entertainment in Chado (tea ceremony, the way of tea), yet only 10% of Chado member have experienced it. Less than 1% of Japanese people or less than 1 in a million foreign tourists have experienced it. Chaji is the supremacy of Chado, and we’d like to serve it to all visitors over the world. This is Chado’s innovation!! Chaji is one of world’s most sophisticated cultures raised by Shogun, Daimyo, and Samurais over 400 years. Chaji, the practical Zen, is a culture that awakens “something inside him / herself”, not only but “teaching something” or “entertaining someone”. Zen is known as a religion; however, we believe which is an idea that esteems people, objects, and hearts, much more than a religion. Chaji used to be a culture that trains the personality of Samurai, Changing the idea of being an assassin to a swordsman with dignity. Hosts treat their every piece of tea utensil as their treasures wholeheartedly, and so are Samurai too. Such a politeness, consideration, and warmth were the very best training of Samurai’s personality. They have built the foundation of Japanese ideology for contemporary Japanese spirit. The oriental beauty is also known as its profound such as gold plated Furosaki (partition), lacquered Natsume (wooden tea container), or beautifully painted Chawan (tea bowl). Each tea things are treasures or heirlooms of the host, and he / she entertains by making tea for guests with using them. However, as described above, Chaji’s essence is the way of Zen, so inner beauty of tea things is more important than superficial beauty. The kuro-raku-chawan (black tea bowl made by Raku family) is simply black, thus the beautifulness is hardly found by only looking at the appearance. Kuro-raku-chawan actually depicts “the color of guest’s heart”, but not the “black”. For this reason, Raku family chose uncolored color, black as a tea bowl’s color. Such as the form of Hishaku (ladle) stance, the form of bowing, the finger form of taking Chashaku (tea scoop) up, each Temae (the processing manners to make a tea) are strictly regulated like musical scores of Beethoven or Mozart. Host can enhance his / her concentration for make the best tea only when following these Temae rules. Similar to interpreting of musical scores are different from each maestro or orchestra, Temae is different from each hosts. Each host’s own life understanding appears on their Temaes practice, and the taste of tea is different, too. Of course, they won’t be called professional till they awaken “What is Life?” and “What is one man’s life?” The numbers of the tea practice lesson and their mental attitude are also appears on their Temae practice. It is very difficult to taste the tea either we got our stomach full or empty. 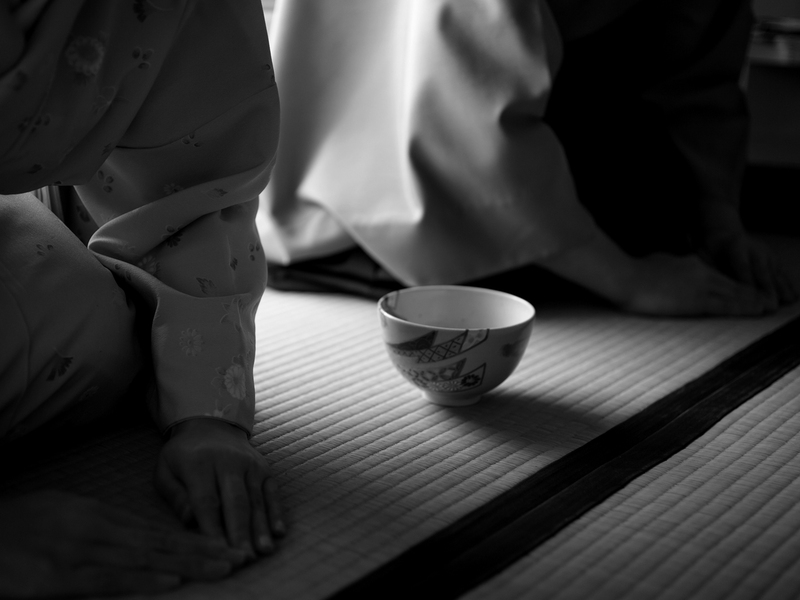 Kaiseki is the meals of Chaji for our guests’ stomach to be ready to taste the tea afterwards. Trainee monks used to put heated stone (石) inside their clothes (懐) to distract their hunger while in the fast training, and it is the derivation of Kaiseki (懐石). When we are at extreme hunger, such a small happiness delights us very much. To interpret such Zen philosophy in Chaji, Kaiseki is served. For example, Kaiseki cuisine is basically lightly flavored. This means we people should taste and feel the original flavor of foods with thankful to the grace of nature. People often use too many seasoning to the ingredients, because numbers of junk foods corrupts our sense of taste, and we CHABITO think that is preceded by egoism of humankind. Kaiseki is meals that inhibit the egoism called seasoning, and the taste and appearance is representation of host’s thought of thankful to the nature grace. Please enjoy your Kaiseki with spending time to enjoy the meals, without hurry. Then you can find the profound taste of superb ingredients. If you are Islamic people, please inform us in advance. We will not serve you any Sake at all. Moreover, we do not use Hindu precept ingredients. Kaiseki is basically haral except for Sake (Japanese traditional alcohol) for drink. Matcha, the green tea is made of “hot water and tea only” but nothing else, and Kaiseki comprises only greens and fish. Even though, the cookware is exclusive. Actually Kaiseki was designed when Japanese were totally vegetarians except for fish eating culture (over 400 years ago), so we do not use animal protein or animal oil for that at all. Of course, Japanese seasonings that contain alcohol are quite short history (less than 100 years), so we do not use them either. It takes approximately 4 hours at least for the tea ceremony. Enjoying the progress of a long time is also the pleasure of a Chaji. We do not use any electricity to light up the room, yet participants enjoy the nature sunlight which changes little by little through 4 hours. The host opens / closes shouji screens depend on the day’s weather or strength of sunlight to direct the effect of the tea chamber. Set yourself free from your busy life. Time passes slowly and gently in tea chamber, and you can enjoy it. You can find that Chaji has the beauty that is drown deeply. We believe that only Chaji is the culture that people can enjoy space-time totally. There are Koi-cha (thick tea) and Usu-cha (thin tea) in Matcha (powdered green tea). The participants come to Chaji to enjoy Koi-cha mainly. Koi-cha has quite deep and natural taste that surprise Japanese people too. Usu-cha is typical Matcha, but it is actually a kind of desert afsessionain dish (koi-cha). Matcha is made from just “water and tea”. This simplicity shows host’s mental attitude, because matcha does not need any seasoning at all. In another words, matcha is also being described as made from “water, tea and host’s heart”. Such an ultimate simple drink is Matcha. Because of Chaji is a culture that cherish men, tea things and heart, it will add another new page on your life. We CHABITO proudly introduce our fine “Chaji” service. Our Chaji use many heirloom tea tools which are traditional, and fixed number of Chaji participant is ONLY 5 participants at 1 Chaji. There are no doubt that the Chaji is very private, elegant, fine, graceful hospitality entertainment service. © Chabito All Rights Reserved.